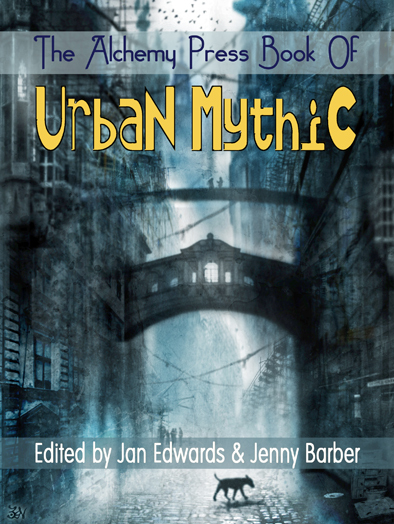 Author of “Death and the Weaver” in Urban Mythic 2, Lou Morgan answers a few questions for us! I’m a novelist and short story writer, and I bounce infuriatingly between any kind of genre that takes my fancy. So far, that’s urban fantasy and horror for both adult and teen readers, because at the end of the day, I just like telling stories. My first novel, Blood and Feathers, was an urban fantasy involving hellmouths and sarcastic angels with drinking problems, handguns and secrets, and which was nominated for British Fantasy Awards in both the best newcomer and best fantasy novel categories. The sequel, Blood and Feathers: Rebellion, picks up the story, and has also been nominated in the best fantasy novel category for this year’s BFAs. 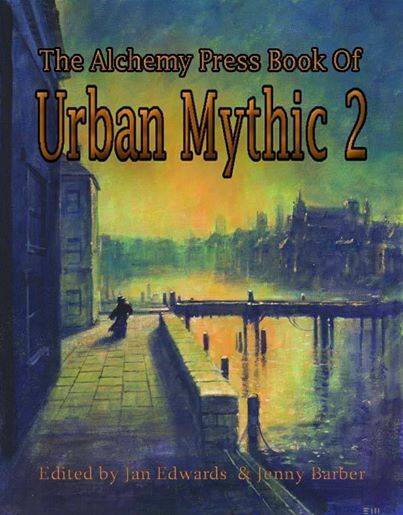 I’ve also written short stories for people like PS Publishing, Jurassic, Fox Spirit and Solaris – and Alchemy Press, of course. And I have two cats, because that’s the law if you write fantasy. The idea behind “Death and the Weaver” came from Breton folklore. I spent a lot of time in Brittany growing up, and still go back most summers, so I know the stories pretty well. My favourite was always the Ankou, a skeletal Grim Reaper figure whose role was to collect the souls of the dead from each parish. On the face of it, it doesn’t sound that unusual, but the interesting thing about the Ankou is that he is always one of the parishioners himself: the soul of the last person to die in the year serves as the Ankou for a year and is then replaced. I love the idea that this could (and probably would) mean it was someone you knew – and I started to wonder how that would change your relationship with death. You’re known for having soundtracks for your work – did “Death and the Weaver” have a soundtrack or particular song? Funnily enough, it did! Along with the Breton folklore, I love Breton music and I have quite a lot of it. I started out having some of the more traditional songs playing in the background, but even modern Breton music still has strong folk roots so there’re lots of bagpipes and accordions in there. I ended up with two songs pretty much on a loop, both by Anthony Chaplain. One was “Marie de la Dondaine” (click here) and the other was “Bzh” – basically a mash-up of several different traditional songs. The title is the abbreviation for the Breton name for Brittany: Breizh. Those two songs between them probably came to feel like a part of the story. How has the transition between writing adult and YA fiction been? 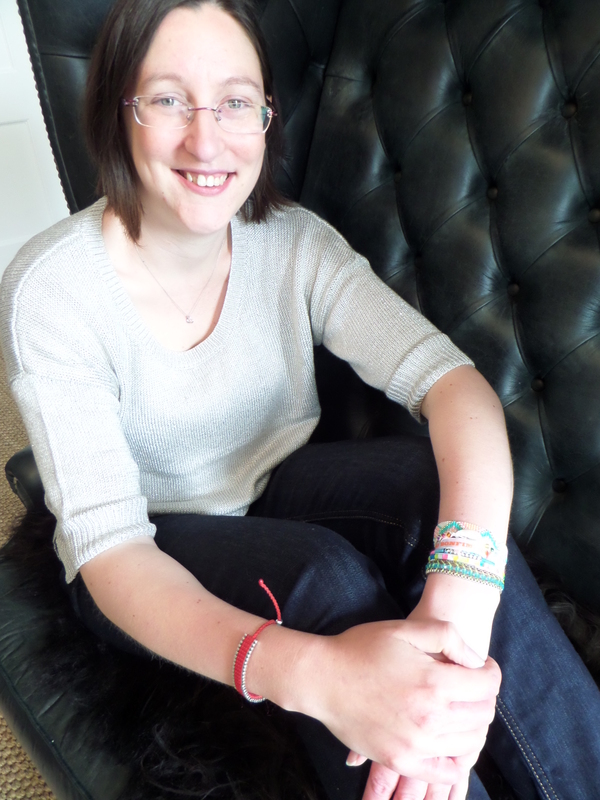 Is there anything you can do with your YA work that you couldn’t do with your adult work? Or vice versa? I’ve probably been very lucky in that the kind of books I want to write hover around the border between YA and adult fiction. I’m always interested in the idea of identity and responsibility, which are two of the biggest themes in YA and still incredibly relevant beyond that. I mean, who gets to 18 and says, “Yes, that’s it. I know exactly who I am. This is me.”? I love having the opportunity and freedom to work in both fields and I hope I don’t treat them that differently (although, in fairness, I try to swear a bit less in YA!). The one big change I’ve found, though, is that I feel there have to be more consequences in YA. Not in a judge-y, lecture-y sort of way, but the Blood and Feathers books have, for instance, a fair amount of casual violence in them … and I don’t think I’d be comfortable writing that into a YA. Every genre comes with its own set of clichés; they’re what help us identify them as a particular genre, aren’t they? I think I’d rather get rid of the idea that there’s “literary” fiction and “genre” fiction and never the twain shall meet. There’s a fair amount of snobbery in either direction, and that utterly infuriates me. There are as many different stories in the world as there are ideas and not all of them will appeal to everyone … and that’s OK.
What inspired you to run a marathon next year and where can people go to sponsor you? If only it were a full marathon! I’m actually running a half-marathon (although that’s still 13 miles which is enough to make me weep at the moment): the Bath Half, in March 2015. I’ve thought about it for a couple of years now, and never managed to talk myself into it, but I did one many years ago (the Moonwalk, which takes place at night through central London) and I loved the challenge. I am, clearly, a glutton for punishment. As part of that, I’m hoping to raise some sponsorship money for Kids Company, who operate centres in both London and Bristol to provide practical, emotional and educational support to vulnerable inner-city children. You can find out a little more about them on their website. I have a couple of stories I’m really excited about which should be surfacing in the near future. Besides “Death and the Weaver”, there’s a story about Oliver Cromwell’s other head which will appear in Fox Spirit’s Missing Monarchs issue of their Fox Pockets series, and I was thrilled to be asked to contribute to the third volume of the Zombie Apocalypse! anthologies. Zombies have never been my favourite monsters, so the chance to create one that interested me was too good to pass up.